Spring has officially arrived! Although it’s a turn of the season, we’re still feeling cooler temps (at least in San Francisco!) 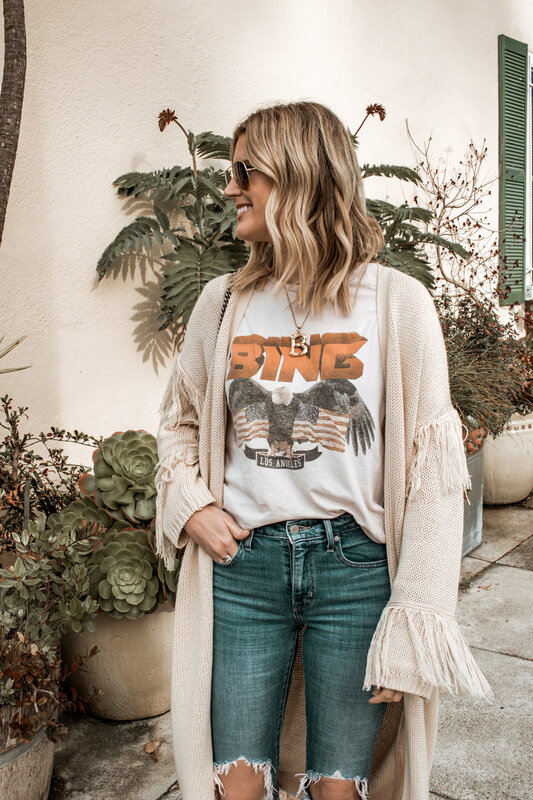 This cardigan will be my go-to this Spring as it’s lightweight and can be layered over jeans or dresses. AKA the perfect layering piece for these transitional temps! Shop my whole look my clicking on the photos below!